"Astonishingly gorgeous people are rarely good, for the simple reason they don't need to be. Hell's absolutely stuffed with the souls of ex-stunnas and hunks, whereas Heaven's been in a more or less perpetual state of talent-famine since human beings first started biting the dust. " "Hell is two things: the absence of God and the presence of time. Infinite variations on that theme." 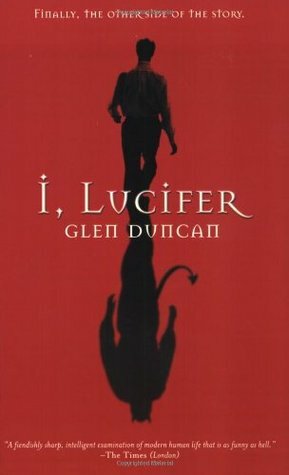 Sign into Goodreads to see if any of your friends have read I, Lucifer.